The silky wings of a butterfly, the smooth back of a flower beetle, and the squishy skin of an earthworm--there's so much to discover in this Touch and Explore(TM) book about little creatures who fly, wriggle, and crawl! 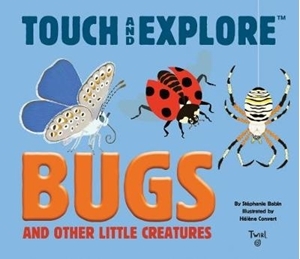 Touch and Explore(TM) is a multisensory series created to encourage hands-on play and learning. Children will enjoy vehicle fun and facts at the tip of their fingers!